It’s good to have the courage to give up a secure job to take the path less trodden. Manish Singh is one of those people. An officer in forest department, he gave up the position in 2009, after 13 long years of service. He was born in 23rd June 1977 at Umaria, (Shahdol district) M.P. He moved to Raigarh in 1985. In the year of 1996 young Manish went to Indore to pursue his dreams to become a doctor. After a while his father’s demise due to brain haemorrhage forced him to come back in Raigarh. After one year at the age of 19th he took up a job with the forest department, instead of his father. His first posting was at Kharsia as the range officer. Three years later he was being transferred to Raigarh, to handle forest offence cases and joint forest management. The concept of joint forest management (JFM) was launched by government of India in 1990. JFM involves partnership of government and local communities in forest management. Mr. Singh contributed lots to the development of JFM in the district. 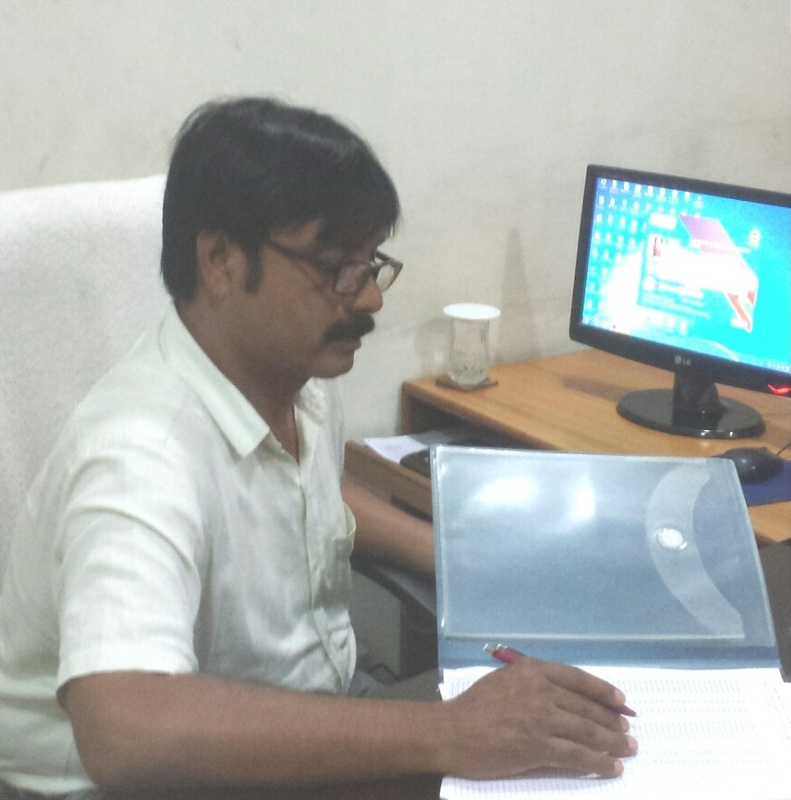 He was heartily inspired by Mr. Manoj Patnaik, director of RCDC. Who used to come in Raigarh to study JFM in the district. Interactions with Mr. Patnaik and exposure to various NGO’s contribution sparked the first few initial thoughts of setting up his own organization. The real impetus of this idea came in 2002, when Dr. Mukesh Goswami a forestry scholar from Bilaspur University came to Mr. Singh for some research work for forest, forestry and forest dwellers. They initially wanted to name it ‘Vanmitram’, but the name was already booked. So that they decided to start it with the name of ‘Janmitram’(The Friends Of People). Mr. Singh had been trying to juggle his job at the forest department, along with Janmitram’s activities, but it was difficult to do because the activities of the organization were increasing day by day. In 2009 he decided to call it a day and resigned the work to do full time job in Janmitram. Now days his most of his efforts are redirected to a school that he wished to set up in the memory of his father. A school that offers top class English medium education for underprivileged tribal children. The school has also an old age home, an orphanage, a hospital and a vocational training centre. A school that is sure to transform lives of children, as Janmitram has done over the past 16 years. 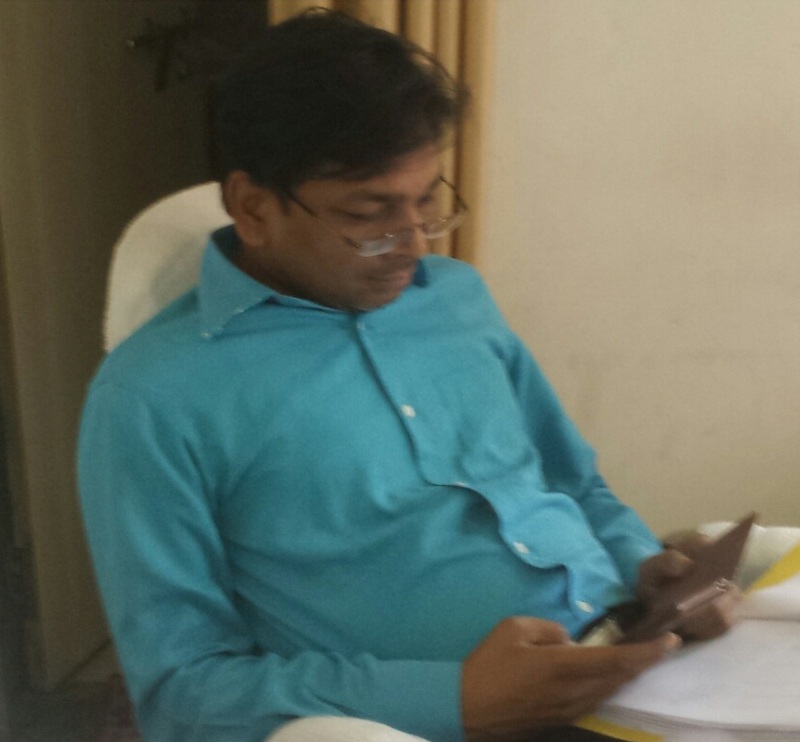 Dr. Mukesh Giri Goswami was born in Raigarh on 23rd June 1973. His father Dr. K.G. Goswami is an Ayurvedic practitioner and mother Mrs. Kesar Goswami is a house wife. Dr. Goswami got his elementary education at SSVM high school Raigarh. He regularly appeared and used to win inter school debate and GK competition during his student life. He completed his graduation with biological science from K.G. Arts and science college Raigarh. In the year of 1991, he went with a team for national tracking camp in Amarkantak. Here he saw the bauxite mines and deforestation caused by mines. It disturbed him a lot. This was the time when he decided to put his life for environment conservation. In 1993, this young determined boy Mukesh proceeded to join master course in forestry from Guru Ghansi Das University Bilaspur. Here he studied the impact of paper industries and their impact on social environment. During this time he was being awarded with junior research fellowship by tropical forest institute Jabalpur. In the year of 1996, Dr. Mukesh Goswami led a team of TFRI scholars, who made a comprehensive research in the areas of Korba district. He prepared VAM inoculation that facilitated the vigorous vegetation in such nutrient starved media. He made it as subject for his doctorial research. Soon he realized that the livelihood of forest dwellers is at risk with depleting forests. He felt that securing livelihood of forest dwellers is the real challenge. These days his interest tends towards JFM extension. He has also published a book ‘Fungi of India’ to fructify the research work. Dr. Goswami came to Raigarh and floated the idea of an organization that should work for livelihood of forests dwellers. However the group becomes a legal entity with registration and Janmitram (Friends of People) came into existence. The organization successfully changed lives of thousands of people in tribe- hinterland of northern Chhattisgarh. His recent award of excellent Lac entrepreneurship gives only the glimpse of his achievements, which is sure that he will go on to the new heights.